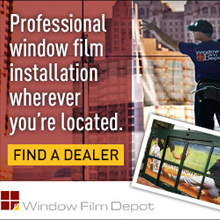 RCA is pleased to partner with Home Depot for a rebate incentive program. As a member, you have the opportunity to utilize this incentive as well share the benefits with your preferred subcontractors. RCA members can receive a 2% annual rebate on all qualifying pre-tax purchases, with a minimum of $25,000 in purchases. There is no cost to enroll and signing up is a quick and simple process. You can register any form of payment accepted at The Home Depot — including checking accounts, credit cards, debit cards and existing The Home Depot accounts. Rebate payments are issued annually (rebate year is April 1 – March 31). Members: Go to Members Login, and visit the Member Benefits page in the Members Only section to download the Customer Registration and Enrollment Guide. If you need your user name and password, click on the Forgot Your Password or Forgot Your Username link, or call 1-800-847-5085. As part of our commitment to job site safety, RCA has partnered with Safety Meeting Outlines to bring our members weekly safety updates. Safety Meeting Outlines has been publishing safety training and record keeping tools for over 25 years. 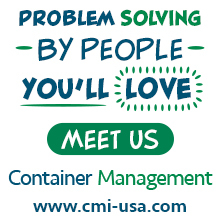 Their products can help you save lives, time, and money. Each member company's safety contact is signed up to receive monthly Safety Meeting Outlines emails, which include a package with one relevant safey topic for each week. These Weekly Safety Meetings presentations can be used to run job site safety meetings. If you are not receiving your Safety Meeting Outlines emails or wish to change your company's contact for the emails, contact [email protected]. Only one person per member company can receive the emails. 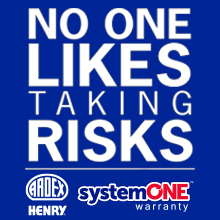 RCA members receive a discount on a Premier Network Membership (“Page 1” advertising) and can use ONETEAM – The Blue Book’s bid management solution – free of charge. 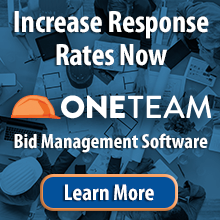 ONETEAM features unlimited document storage in a secure cloud, customized plan room with labeled files that are keyword searchable, personalized “Invitations to Bid” for better responses, seamless access to The Blue Book Network for increased subcontractor coverage, and secure 2-way communication and collaboration to improve bids. Members: Go to Members Login, and visit the Member Benefits page in the Members Only section for the link to ONETEAM. If you need your user name and password, click on the Forgot Your Password or Forgot Your Username link, or call 1-800-847-5085. 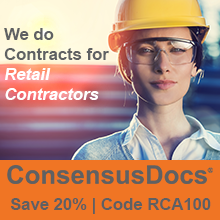 RCA is pleased to be part of the ConsensusDocs Coalition, an alliance of design and construction industry associations that produces industry-standard contracts that are fair and balanced to facilitate project success. 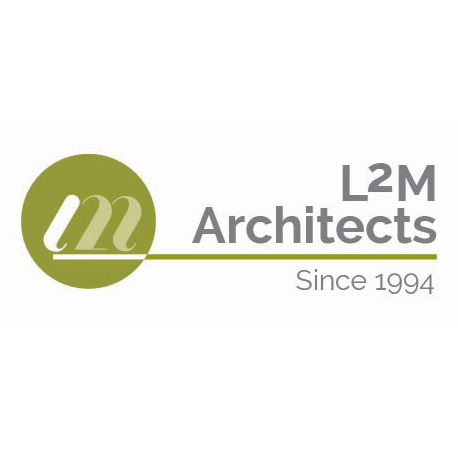 Coalition organizations represent hundreds of thousands of design professionals, owners, contractors, subcontractors and sureties. RCA members will have access to hundreds of contract templates at a discount of 20%. 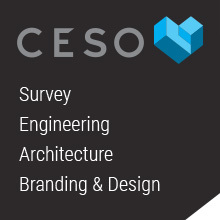 ConsensusDocs are the only contracts written by leading design and construction industry organizations. With a catalog of 100+ contract documents addressing all methods of project delivery, ConsensusDocs contracts incorporate fair risk allocation and best practices to represent the project’s best interests. 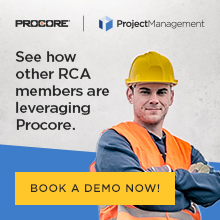 RCA has representation on the ConsensusDocs Coalition’s Business and Marketing Advisory Board and Contract Content Advisory Board, giving retail contractors a voice in the development of contracts written by and for the industry. Members: Go to Members Login, and visit the Member Benefits page in the Members Only section for our discount code. If you need your user name and password, click on the Forgot Your Password or Forgot Your Username link, or call 1-800-847-5085. Employee retention is an important issue for everyone’s business? RCA periodically conducts a compensation and benefits survey of its member companies. Those who participate benefit from having a fresh perspective of compensation standards in retail construction. Compensation is a critically important component in retention strategy. RCA's compensation survey is a great tool for evaluating how your pay and benefits compare to other companies specifically performing retail construction. 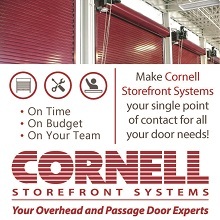 Other sources of information are not as directly comparable to our retail contractor-based membership. 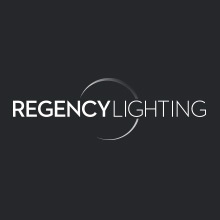 All member companies have an opportunity to participate in the RCA survey and participating companies will receive the results of the survey free of charge. The confidentially of each respondent company's data is well protected. No company identification is contained in the survey results. RCA's directors, officers and members do not have access to the returned surveys and the originals are destroyed following compilation of the data. The survey is conducted every three years; the last survey was conducted in 2017. If you participated in the survey and need a copy of the report, contact [email protected]. Extended Stay America has partnered with RCA to offer Preferred Rates for members. Members can contact our dedicated Extended Stay America rep to obtain the best available rate for any given stay. All room rates are quoted exclusive of appropriate state and local taxes. Members: Go to Members Login, and visit the Member Benefits page in the Members Only section for our account rep's contact info. If you need your user name and password, click on the Forgot Your Password or Forgot Your Username link, or call 1-800-847-5085. La Quinta has partnered with RCA to offer a 15% discount to members, for both business and leisure travel in the United States. Offer valid seven days a week, based on availability at participating hotels. Offer may not be used in conjunction with any other offer, discounted rate, promotion, or during special events. All room rates are quoted exclusive of appropriate state and local taxes. Members: Go to Members Login, and visit the Member Benefits page in the Members Only section for RCA's code. If you need your user name and password, click on the Forgot Your Password or Forgot Your Username link, or call 1-800-847-5085. 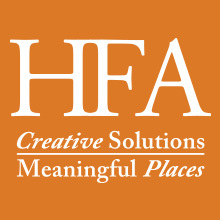 With Travelers Haven, RCA members can outsource every step of the short-term housing process for out-of-town projects. This full-service housing firm saves RCA members an average 38% off short-term rentals in rural and urban areas across the country. Maximize your bottom line with one of the largest and fastest growing housing companies in the U.S.
RCA members can also join Hotel Engine. The private hotel booking platform saves RCA members an average 26% off public rates at 150,000+ hotels worldwide, from all-inclusive resorts to budget-friendly inns. The free membership includes: deeply discounted rates in 185+ countries; 24/7, U.S.-based customer support; access to Hotel Engine Rewards, so you can earn and redeem points at any hotel brand. Use the service for business or leisure. 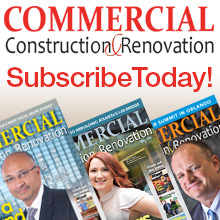 RCA partners with Commercial Construction & Renovation (CCR) to print and deliver our newsletter three times a year (tipped into issues sent to GCs and retailers). We encourage you to attend a CCR People event near you and sign up to receive a free subscription to the magazine. RCA’s membership directory will be printed as a standalone insert in the November/December issue of CCR. Chain Store Age magazine and SPECS offer RCA members* a 60% savings for the annual SPECS event. The "RCA Members Only" discount includes an exclusive second and third person rate (other GCs are limited to one additional attendee). *To qualify as a non-exhibiting GC company, companies must build stores from the ground up and/or provide total store renovations/remodels. Companies must not offer any facility management/maintenance programs or services. Subcontractors/installers do not quality as a GC. Companies will be evaluated on an individual basis.